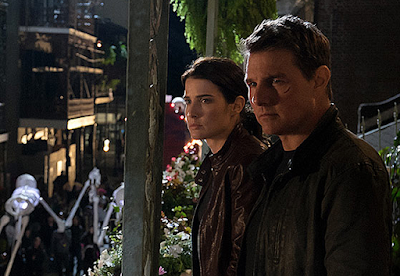 Jack Reacher must uncover a major government conspiracy to clear his name. On the run, Reacher discovers a secret from his past that could change his life forever. It's been four years since we have seen Cruise portray lone wolf Jack Reacher. I enjoyed the first movie, which was directed by Christopher McQuarrie who also directed Cruise in Edge of Tomorrow and MI: Rogue Nation. McQuarrie serves as producer on this project. For this second installment which is based on Lee Child's 18th book "One Shot", Cruise returns on equally familiar ground with the same director, Zwick, who helmed his 2003 Japanese themed historical action piece The Last Samurai. Movies aside I have read a few Jack Reacher novels and I can certainly see why they are made into movies. Never Go Back serves as Tom Cruise’s first ever sequel outside the Mission Impossible universe. Maybe therefore he should stick to single entry movies when he’s not playing Ethan Hunt as this movie was a total dud. The movie never really seems to get going. It’s two hours but feels longer, for an action thriller it really drags. At the heart of the story is the framing of both Reacher and Cobie Smulder’s character. The two go on the run whilst trying to clear their name. Heard that before? Yeah, like only in about a hundred movies. This movie committed the worst sin for action thrillers - it was boring. The central story is very weak. 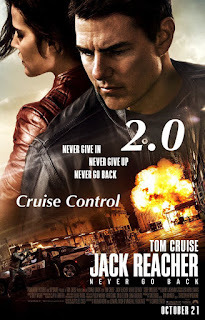 ​Cruise and Smulders work ok together but the chemistry between the two was never that great. They never really clicked. Certainly when you compare Cruise’s chemistry with Rebecca Ferguson in last years MI: Rogue Nation. Danika Yarosh who plays Samantha Dayton, a girl who may or may not be Reacher’s daughter is very weak though. As the three find themselves together, the movies makers try to force them to become like a “Sudo-family” and it really doesn't work. One thing you can always say about Tom Cruise is that even though some of his movies have not been any good, he himself has always given 110% as the expression goes. I suppose in this movie you can say that but to be completely frank, I felt for the first time the 54 year old is starting to show his age. If you read the books of Reacher you know that he is an unstoppable force. 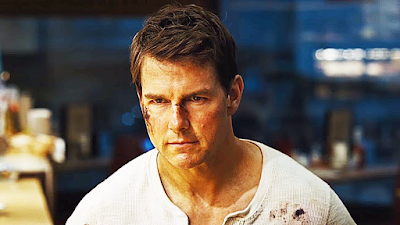 In this movie though although he handles himself really well, the character of Reacher is fallible and I think that is playing more in deference to Cruise’s age than the source material. He also gave a fairly flat performance. The movie as I say never really gets into gear and it feels like an endless set of tired excuses for Reacher to a) have a fight, b) have a car chase or c) be chased after by cardboard cut out villains. There is NOTHING here you have not seen before and seen done a lot better. As for the bad guys they are pretty well..bad. Robert Knepper as General Harkness (The villain in the suit) is pretty bad, has little to do. Patrick Heusinger who is the hired muscle known simply as “The Hunter” is suitably menacing at times but ultimately boils down to a one dimensional bad guy who has the inevitable showdown with Reacher at the end. The movie’s tagline is…Never Go Back. Which is pretty much what the audience is going to do with this franchise after seeing this movie. Don’t waste your money on this phoned-in, predictable action thriller. 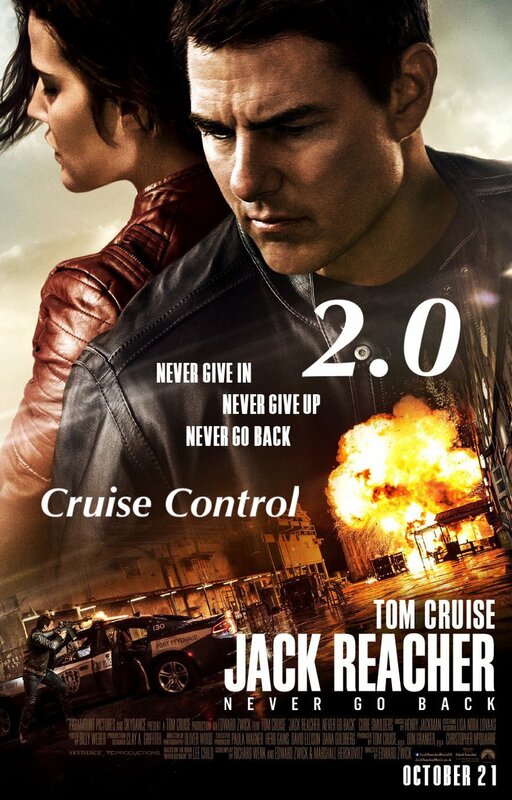 Even die-hard fans of Cruise can wait for this to be streamed. Never Go Back – more like – Don’t Go At All. 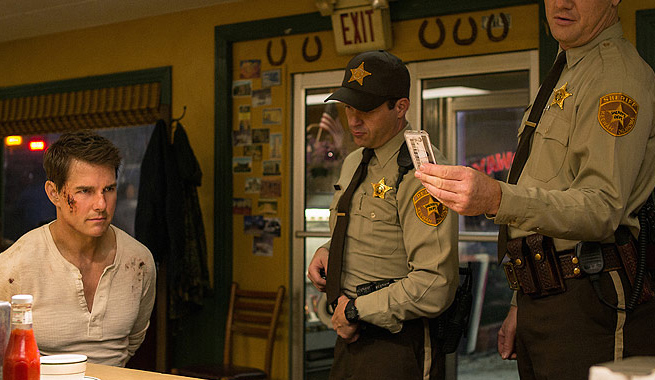 Jack Reacher: Never Go Back is on general release in the UK from today.